Tibco has filed a lawsuit with the California North District Court alleging the Merrill Lynch division of Bank of America illegally used $300m of its software for a major IT project. The case highlights a catastrophic breakdown in supplier relationships, which could lead to Bank of America being exposed to a potential risk of no longer being able to run software that uses Tibco. It also shows what can happen when software subscriptions run out. How does the supplier know that the software is no longer deployed? Tibco’s platforms are heavily used in investment banking. For instance, Société Générale is using Tibco for centralised data gathering across applications, while BNP Paribas Securities Services is using Tibco’s Spotfire software for decision support. Given the company’s focus on middleware and business process management, Tibco is often embedded into core business processes, which raises the question of why the relationship with Bank of America has deteriorated. "Too often software publishers put landmines in their terms and conditions that customers can walk into," said Mark Flynn, managing director of the Campaign for Clear Licensing (CCL). "Bank of America would not knowingly have put itself at risk. It’s a big customer and would not have deliberately used unlicensed software." Always have an alternative product, and be mindful of future changes in strategy. In the lawsuit, Tibco claimed that although the bank purchased its software, it carried on using it at Merrill Lynch after the licence expired in February 2013. Tibco is seeking an injunction to prevent the bank from use its software and has asked for compensation. It has also asked the court to impound the unauthorised software. In a blog post on the Seeking Alpha website, Don Dion, chief investment officer of DRD Investments, wrote: "Although the licence allowed for extended use, it also had specific restrictions in place that limited how the bank could use its software." Such a decision could have a serious impact on the bank's ongoing Tibco-based software projects and could potentially cost millions to redevelop, during which time Bank of America will be unable to run the systems it developed on Tibco. "This is a relationship that has gone bad. It is very rare to get this kind of escalation," said Neil Ward-Dutton, research director at MWD Advisors. "Part of the way to maintain revenue is by enforcing audits, but normally if the [customer] has been using software outside the agreement, you negotiate and come to a compromise." Commenting on the challenges Bank of America could face if the Tibco software it uses is “impounded”, he said: "If Bank of America has fairly well-defined projects, then migrating modern middleware should not require much recoding, since the applications would use standard coding. But there is always some vendor proprietary tools, which may need workarounds." However, he added: "Normally, when an organisation makes a strategic decision to move away from a middleware platform such as Tibco, it would run the old and new systems in parallel by creating a shadow implementation. But impounding the software means Bank of America will not be able to do this, so the middleware migration could be far riskier." Mergers, acquisitions and de-mergers can lead to software licences being miscounted. In the LinkedIn ITAM review group, Brent Jarnell, IT asset manager at Bank of New Zealand said: "Given the amount that is missed in a lot of companies just on the basics of SAM, ensuring there is an eye on software assets during the heady and murky days of joins and splits can be tricky, although much can be said about 'good faith'." 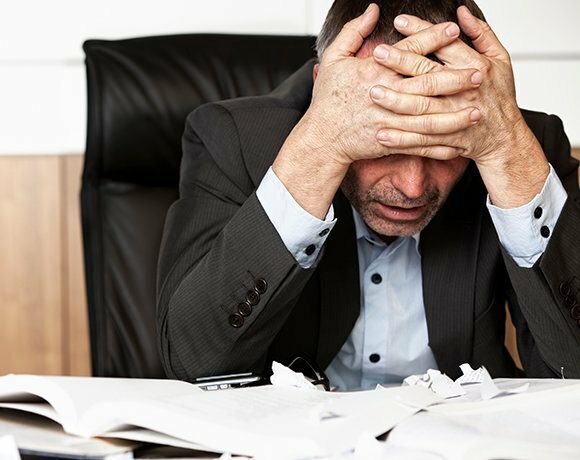 As Computer Weekly has previously reported, without a process for software asset management, organisations can find that they are underlicensed and may have to pay extra fees, that wipe out the return on investment of a project. Speaking to Computer Weekly earlier this month, Rory Canavan, author of SAM Process Kit, said: "Once instructions have arrived to install/deploy or alter software, there is a very real possibility that most organisations have not consulted the licence terms and conditions to verify that the installation/deployment/change does not in some way breach those terms and conditions. Engagement of a SAM professional prior to deployment would always be a recommended course of action." However, over the past five years following the banking crisis in 2009, companies have made drastic cuts in their workforce. As contributors to the LinkedIn ITAM Review group note, some of these people who no longer work at the company are the very people who understood what products had been licensed, and where they were deployed. Bank of America stated it had consistently acted in good faith to comply with all of Tibco's licensing requirements. Yet why was the software still being used after the subscription ran out? DRD Investments’ Dion believes that rogue staff carried on running the software. The case has no winners: both Bank of America and Tibco lose out. For Tibco, other customers and potential customers may well hesitate to take on new Tibco projects until they fully understand what has gone on, said CCL’s Flynn. The Wall Street Journal recently reported that Bank of America has been in talks with the US Department of Justice to settle billions of dollars in fines over its part in the sub-prime mortgage fiasco in 2009 that led to the financial meltdown. The Tibco case, while small relatively small change for a big bank, highlights deeper failings according to Dion. He wrote on Seeking Alpha: "With continued cases of poor management decisions, we suggest investors steer clear of Bank of America."